Safety Program | CSI International, Inc.
Our employees are our most valuable asset and every member of the CSI family is entitled to a safe and healthful environment. Employee safety is one of our business priorities and it is a CSI objective to provide a clean, safe and healthy working environment for all employees. 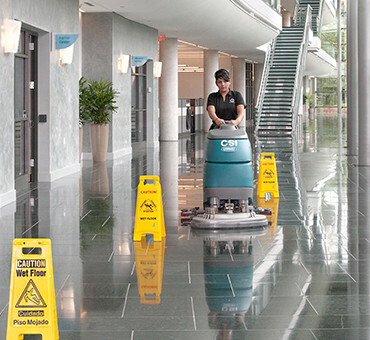 CSI complies with all safety and health standards that are enforced by local, state and federal authorities. CSI will provide safety procedures, administrative controls, personal protective equipment and training to abate and reduce exposure to hazards and prevent injury and illness. We have developed, and will constantly refine, policies, rules, and procedures, which will contribute to the safety of all employees. Establishment and maintenance of a safe environment is the shared responsibility of management and employees at all levels of the organization. To this end, every reasonable effort should be made to achieve the goal of accident prevention and health preservation. Fully and completely support the Safety Program. Maintain a place of employment that is safe and healthful for the employees. Comply with occupational safety and health standards, rules, regulations and orders. Maintain an effective accident prevention program. We expect all employees to work according to good safe practices as posted, instructed, and discussed. Management shall insist that employees observe and obey every rule, regulation and order necessary for the safe conduct of work, and shall take such action necessary to obtain compliance. Employees will contribute to the company safety program by following all safety rules, bringing unsafe conditions to the attention of management and recommending actions to improve the effectiveness of the CSI Safety Program. There is no job so important—nor any service so urgent—that employees cannot take the time to work safely.